The attorneys at the Law Offices of Molly B. Kenny know you have questions about the divorce process. We provide answers to your most critical questions about mediation and arbitration. Whether you are involved in mediation or arbitration during your divorce process, we are here when you need us. Do you have a question that isn't addressed below? Contact us today to talk to an experienced Seattle mediation & arbitration lawyer. 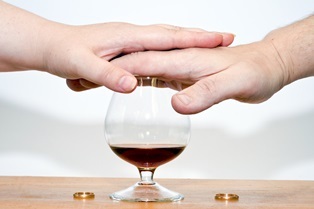 How does substance abuse affect divorce mediation? When you want to get a divorce in the state of Washington but can’t agree to the terms with your spouse, mediation is often the first step toward resolving your issues. Having a neutral third party to guide you both through the process of reaching an agreement comes with many benefits, including saving time and money. There are instances, however, when mediation is not always the best solution, such as when drug or alcohol abuse is involved. Here’s what you should know about the mediation process and how substance abuse issues can affect your divorce. Mediation isn’t required by law in the state of Washington. However, many localities, including King County, may have rules that require some form of “alternative dispute resolution” (ADR) if your divorce is contested, which in many cases means that the court orders you and your spouse into mediation before trying other methods of dispute resolution. When you agree to mediation (or are ordered by the court), you’re agreeing to meet with someone who isn’t involved with your divorce or life affairs. The best mediators are typically professionals, and many have either practiced law as an attorney or may be retired judges. The mediator will act as a go-between with you and your spouse as you each discuss the terms and conditions that you wish for your divorce. Frequently, mediators will seat you each in separate rooms to ensure that each spouse is able to speak freely to the mediator without causing additional resentment or ill-will. You’ll be able to discuss with the mediator what your wishes are and how you would like the divorce to go, which may include the way your marital assets will be divided (Washington is a community property state), child support payments, a parenting plan that details custody, visitation rights, and alimony or spousal support payments. Your mediator will talk to you and your spouse separately over the course of the session, working to find a compromise that you both find acceptable. A mediation session may be scheduled for a full eight hours, so don’t feel the urge to rush into an agreement. It’s important that you take your time and think things through before you agree to a settlement. Drug or alcohol use is a factor in many divorces in Washington, and a substance abuse problem can make it difficult or even impossible to have a successful mediation. In order for mediation to have a chance at success, both spouses must be able to negotiate with one another clearly, fairly, and at least relatively amicably. Sobriety is absolutely essential to the mediation process. Showing up to an appointment such as mediation or a court appearance while intoxicated generally precludes the ability to think clearly or otherwise apply logic and reasoning skills. Addictions may also alter the priorities of a spouse as well as cloud his thinking even when not actively intoxicated, making mediation impossible. In situations like this, going through the full process of a court divorce is often recommended by divorce experts. Counseling for both spouses, as well as for any children that are involved in the relationship, may also be beneficial. Divorce is hard enough, and drug and alcohol issues only stand to make things more difficult. The help of professionals who are trained in substance abuse problems are likely to offer psychological benefits to everyone involved. Whether mediation is the answer to your divorce issues or not, having a divorce attorney by your side can help you be sure that your legal rights are protected. Your attorney will be there for every step of the process, so you and your family can focus on starting your new life. The Law Offices of Molly B. Kenny offers decades of divorce and family law experience, and we would like to help your family, as well. To arrange a private consultation with an experienced legal professional here in our Bellevue office, please call us, or use the contact form on this page to send an email now. What Is Court-Ordered Divorce Mediation? When Do Couples Need a Legal Advisor for Their Divorce Mediation? In some cases, divorcing spouses cannot agree on one or more aspects of their divorce settlement after the case has gone to court. The judge may order the couple to undergo mediation sessions to resolve the issue before the case can continue. Most court-ordered mediation sessions involve a dispute in custody or visitation issues, but can also be issued for problems with property or finances. Fees. Private mediators usually charge for their services, but if mediation is court-ordered, you and your spouse will usually not have to pay a fee for these sessions. Mediator. The court may assign you a mediator to resolve the dispute rather than letting you and your spouse choose a mediator to help you. Confidentiality. The mediator in court-ordered sessions will have to give a report to the judge about what took place in mediation, while most private mediation sessions remain confidential. Topics. You and your spouse can discuss all aspects of your divorce in private mediation, while your court-ordered sessions will likely be limited to resolving the issue at-hand. Options. Some spouses work better when they are not in the same room together, choosing to have a mediator go between rooms to reach a decision. However, your appointed mediator may be more concerned with completing the task than using a method of mediation that works best for you. As you can imagine, court-ordered mediation can disrupt the progress of your case, delaying the divorce until you and your ex reach an agreement. The best option for disagreeing couples is to seek mediation before their case is heard in court. If you and your spouse need legal help to make a tough decision, fill out the short consult form on this page and we will contact you shortly. Should My Spouse And I Go Through Divorce Mediation, Or Is It Unnecessary? Can Spouses Decide Their Own Custody Rules During Divorce Mediation? It depends. Many spouses who want to terminate their marriages want to get the process over with as quickly as possible. One partner may have begun a new relationship, another may be moving out of Washington State--or both partners have simply decided that their marriage problems are not able to be reconciled. Divorce is usually a very complicated process. The quick-and-easy way out is not recommended except in the simplest of cases. For example, if a couple does not have children, does not have any shared debt, does not own a home or other large assets, earn comparable salaries, has been married for two years or less, and there is no alimony payment, a couple may pursue divorce without mediation. However, it is still a good idea to have an attorney review the final documents before the process is finalized. If We Need Help With a Divorce, Why Should We Choose Mediation? Mediation is almost always faster and less expensive than going to court. Couples learn how to work together for the benefit of their children. If you must have an ongoing relationship with your ex-spouse, mediation allows you to work out an agreement that works best for both of you, and does not unnecessarily disrupt your children’s lives. You have more control. In mediation, you and your spouse will be able to split assets however you choose and decide on your own custody agreement rather than leaving the decision to the court. Setting these terms yourselves allows you to build a future relationship that is more likely to work. To find out if you and your spouse could benefit from divorce mediation, click the contact link on this page to set up a private consultation. Should I sign a Washington State divorce mediation agreement without my lawyer? Do I Need a Lawyer For My Divorce Mediation? Once you sign a Washington State divorce mediation agreement the content of that agreement is binding unless and until it is legally changed. In other words, you cannot wake up the next morning and decide that you are not going to abide by the terms of the agreement. Instead, if you believe that the agreement is not in your best interest, or the best interest of your children, you will need to go back to mediation or to court. Accordingly, the question that you ask is an important one. You have the right to work with a lawyer during the mediation process. You should understand everything that is in your Washington State divorce mediation agreement and consider having your attorney look at it before you sign it. You and your soon to be ex-spouse may be able to dissolve your marriage through mediation rather than the courts. You may even get along really well and avoid conflict. However, that does not mean that you are on the same side in this situation. You may have competing interests and it is not the mediator’s role to advise you about what to do. Thus, we encourage you to contact a lawyer not only before you sign a mediation agreement but before you even begin the mediation process. For more information, please download a complimentary copy of our books about divorce in Washington, The Savvy Woman’s Guide to Divorce in Washington or The Thinking Man’s Guide to Divorce in Washington. Why Do So Many Celebrities Choose Divorce Mediation? We don’t know much about the final settlement between Hollywood superstars Tom Cruise and Katie Holmes and it is not for want of trying. The TomKat split was surly filled with juicy details about the couple’s life together, their complex finances, and their daughter, Suri. However, even though the couple had a number of public disagreements and troubles before their divorce, they were able to settle privately in divorce mediation. Why did they choose divorce mediation over litigation? By not going to court to battle in front of the world, they were able to keep almost all of the details of their life and marriage from the public—as well as keep the details of their settlement from the media. Everyone involved in the process, including Cruise, Holmes, their attorneys, and the mediator, are not allowed to speak about the agreement. In addition, the details of their child custody agreement are also under wraps, protecting the entire family from unwanted publicity. Of course, the decision to choose divorce mediation does not end at privacy concerns. Mediation likely saved the millionaire couple a significant amount of money. Cooperating behind closed doors during mediation is almost always less expensive than a court battle, which often involves a much longer process and more hours with your attorney. Divorce mediation is not just for millionaire celebrities and Hollywood stars. Each year, more and more ordinary couples are choosing mediation over litigation for some of the similar reasons that Tom and Katie avoided a courtroom battle. To learn more about whether divorce mediation might be a good choice for your family, call a Washington mediation attorney at the Law Offices of Molly B. Kenny today at 425-460-0550. What Happens If My Washington Divorce Mediation Fails? Mediation can be a great option for divorcing couples that wish to settle their split quickly and with minimal drama (and costs). However, if mediation doesn’t work out, you can be sent back to square one – and end up spending more time and money that you would have if you had skipped trying the mediation process. Mediation can fail for a number of reasons: you can’t reach a settlement that both parties agree with; your split is complicated by issues of abuse, addiction, or manipulation; or your mediator doesn’t stay neutral or follow mediation guidelines. In these situations, your case will be left in the hands of a judge and you may need to go to trial to figure out issues like division of property, spousal support, child support, and child custody. However, it is important to note that mediation doesn’t fail often – and that a failed mediation can be avoided in most cases. You can avoid most failed mediations by not entering into the process unless you are confident that both you and your spouse are willing to communicate, compromise, and work together to find common ground and a workable solution. Also don’t enter into a mediation situation if you believe your spouse won’t be 100 percent truthful or if you believe your spouse may not respect the process. Try not to feel guilty or angry if your mediation does fail – these things sometimes happen and sometimes you truly do need a judge to help you come to a settlement. Do you need a Seattle divorce mediation attorney, either for legal guidance during your mediation or for your court divorce? Contact the Law Offices of Molly B. Kenny today: 425-460-0550. Can Our Mediator Stop or Terminate My Divorce Mediation? Yes, there are certain circumstances in which a good moderator will halt or permanently terminate a divorce or child custody mediation—and you must trust that stopping mediation to deal with a related issue is probably the best choice for you and your family. In general, a mediator will only stop or suspend a mediation session if the safety of someone in the family is threatened or if continuing the mediation would not fairly serve both parties. First and foremost, a mediator will stop a mediation session if she believes that either party or their children are in danger. For example, if one party threatens another party, or threatens to harm or abduct the children involved in the divorce, a mediator will not continue and will alert authorities if they need to under the law. In addition, if the mediator sees evidence of domestic abuse, child abuse, or child neglect, they will also halt the mediation sessions and may be legally obligated to tell police. A mediator will also stop the mediation process if she believes that the process is no longer fair to both parties. For example, if the mediator feels that she can no longer act as a neutral third party or that she is biased toward one party, mediation will stop. Likewise, the mediator may stop mediation if she feels that the final settlement is unfair to one party or if one party is using mediation to take advantage of the other party. Are you considering divorce mediation in Washington, but would like a lawyer to guide you through the process and make certain your rights are protected? Call the Law Offices of Molly B. Kenny today: 425-460-0550. What Is Caucusing? Should we use it? Caucuses are private meetings that take place within the process of divorce mediation between the mediator and one of the parties. The information exchanged during these meetings is confidential, unless clearly stated otherwise. Caucuses may take place before mediation begins, during mediation sessions, or after a mediation session is over. A mediator may ask for a caucus, or one of the parties may request one. While some mediators often rely on caucuses to move the mediation process forward, others do not believe that caucusing is a helpful tool. These latter mediators believe that caucusing can create bias, or the perception of bias, and that caucusing goes against the philosophy behind mediation. Before beginning the mediation process, it is important to understand your mediator’s stance on caucusing, as well as how the caucusing process will work during your sessions. The Law Offices of Molly B. Kenny works with clients going through divorce and child custody mediation in the Seattle area. To speak with a Washington mediation attorney or to find legal representation, call us today at 425-460-0550. Should We Use Caucusing During Our Divorce Mediation? When you meet with your divorce mediator, she should overview the mediation process and share the rules that you must abide by during your mediation sessions. Some mediators will utilize caucuses as a tool during your sessions. There are both pros and cons to taking advantage of caucusing, and whether or not you decide to make caucusing part of your sessions depends on your unique situation, as well as your own thoughts and feelings on the subject. Some believe that caucusing gives both parties a special opportunity to speak openly and confidentially with the mediator—an opportunity that can speed up the mediation process, lead to a fairer settlement, and ensure that everyone’s needs are met. Caucusing can also prevent emotions from running too high or keep potential solutions from being considered. On the other hand, some believe that caucusing goes against what is at the heart of the mediation process: open and honest communication. Breaking up joint mediation sessions with private sessions could possibly cause bias or the perception of bias—and promote secret sharing. In some cases, caucusing could make the mediation process take longer or make coming to an agreement more difficult. Before embarking on your divorce mediation process, make sure you and your ex both understand whether caucusing will be used and what the rules surrounding caucuses are, according to your mediator. Do you need the assistance of a Seattle divorce mediation attorney? Call the Law Offices of Molly B. Kenny today to speak to a lawyer in your area: 425-460-0550. How Should Divorce Mediator Payment Be Handled? Divorce mediation can be significantly less expensive than a court divorce, but it still requires payment. Before agreeing to a divorce or child custody mediation arrangement, be certain to discuss all aspects of the payment and fee policy with everyone involved in the process, including the mediator. In fact, the payment arrangement for your mediation should not only be discussed verbally, it should also be explained in writing within your mediation agreement. There are several instances in which you should not pay your mediator. For example, it is unethical for a mediator to accept payment in exchange of a referral to another mediator or professional. It is also unprofessional for a mediator to collect full payment if the mediation process is not completed. If the mediator has been paid in full but the mediation process isn’t finished, the mediator is expected to pay back a portion of the fees. In addition, a mediator should never base a fee or payment on the outcome of the mediation or on the final settlement. Again, look for these provisions in your written mediation agreement before beginning the process. An experienced Washington mediation attorney can help you review your mediation agreement and payment agreement to make certain that it is ethical and fair—and to ensure that it is in alignment with the accepted standards of practice. A mediation lawyer can also guide you through the entire process and protect your rights. To speak with a family law attorney at the Law Offices of Molly B. Kenny, call 425-460-0550 to schedule a consultation. Should My Child Participate In The Mediation Process? Children should not be involved in the divorce and child custody mediation process unless both parents consent and unless the child’s court representative believes it is in the best interests of the child. Although younger children and children lacking emotional maturity may not benefit (or even be harmed) by being included in the mediation process, older children may add to and benefit from the process. Before children are asked to participate in the mediation process, the mediator will discuss how and to what extent the child will participate—as well as how this participation will benefit the final outcome and parenting plan. As in all parts of the process, the mediator will take a neutral position on the subject, but present both the pros and cons of child participation in your case specifically. In addition, the mediator will review the different ways that a child can participate in the process, from actual participation in a session to a written or taped statement from the child, and share the pros and cons of each of those ways. If you are using mediation to discuss child custody and form a working parenting plan, you may wish to have the assistance of a knowledgeable and experienced family lawyer on your side. This lawyer can help you know your rights, better understand the mediation process, and ensure that you get the outcome you and your children deserve. To speak with a Bellevue family law attorney at the Law Offices of Molly B. Kenny, call 425-460-0550. to schedule an appointment. When it Comes to Washington Divorce Mediation, Why Is Self-Determination Important? Self-determination is defined as the ability to make decision and take action by yourself and without outside pressures or compulsions. More simply put, self-determination is the freedom to make your own choices without force from others. Self-determination is the foundation of divorce mediation and family mediation. When you take your divorce to court in Washington State, a judge makes the final decision for your and your family – and you have to accept those decisions. When you use the process of divorce mediation, only you and your spouse have the power to agree on a settlement, on property division and on child support and parenting plans. While a mediator and mediation attorney are involved in the process, no one excepts you and your spouse will make final decisions. Everyone else involved in mediation is simply there to facilitate the conversation, inform the two participants, and provide support. If you and your spouse believe that divorce mediation may be the right choice for you, and the self-determination is a concept that appeals to you, you may wish to speak with a Seattle mediation attorney. Call the Law Offices of Molly B. Kenny today to learn more and to schedule an appointment with an experienced mediation lawyer. A divorce mediator is very different from a courtroom judge. A mediator does not make decisions for the couple and does not settle arguments for the couple. Instead, a mediator is there to guide you through the divorce mediation process, to promote constructive communication, and to provide an environment that is conducive to cooperation and agreement. A mediator will be neutral and unbiased throughout your sessions. He or she may suggest routes to a possible solution, share how other couples have talked through issues, and encourage listening, compromise, and empathy. A mediator often has extensive experience and can offer you useful information and tools that can help you find your way to a workable and amicable solution. Also during each session, the mediator will document the meeting and the decisions you have reached. At the end of the mediation process, the mediator may draft a divorce settlement for you and your spouse – a document that should be reviewed by you and your attorney before finalization. Do you have further questions about the divorce mediation process, or do you need a Seattle divorce attorney to stand at your side through the mediation process? Contact the Law Offices of Molly B. Kenny today at 425-460-0550 to speak with a lawyer. Is Divorce Mediation Only for Couples Who Want to Get Back Together? Absolutely not. Many people hold the misconception that Washington divorce mediation is about couples getting marriage counseling and working out their issues. This is simply not the case. Divorce mediation is an alternative to court that allows couples to work out the details of their divorce, property division, and child custody plan with the help of an unbiased mediator and their attorneys. Although divorce mediation is often ideal for couples who are still able to openly communicate and cooperate with one another on some level, it is in no way an avenue for divorcing couples to rekindle their feelings or decide to work out the problems in their marriage. Couples who wish to give their marriage a second change or to speak about the issues in their marriage with a professional should seek the assistance of a marriage counselor or family therapist. Couples who wish to work on their marriage instead of seeking a divorce should not enter the mediation process. Divorce mediation can sometimes be confused with marriage counseling because it takes place outside of the courtroom, because it involves an unbiased third party, and because it often involves couples opening up, realizing their differences, and looking for mutually agreeable solutions. However, couples in mediation are focused on how to fairly complete their divorce, while couples in counseling are focused on their personal relationship. Is mediation the right choice for you? Speak with a Bellevue divorce mediation attorney at the Law Offices of Molly B. Kenny today to learn more. How Will Washington Divorce Mediation Help Protect My Privacy? One of the advantages of Washington State divorce mediation is that mediation sessions are confidential and that many of the personal matters and financial information that could become public information during a court case may be kept private. It is law in Washington State that mediation sessions are confidential and private. How can a confidential mediation session help the divorce process? It is much easier to openly discuss a divorce settlement and child custody if everyone feels free to safely discuss their fears, concerns, wishes, and histories. With confidential mediation, you may speak candidly with the mediator without fearing that the information you share will be shared with your spouse. You may also share private events, emotions, or other information that would be considered unimportant in court, but which are very important to you and your ex. Are you interested in exploring the option of mediation for your Washington State divorce? Speak with a Bellevue divorce attorney today to learn more about the process and find out if confidential mediation would be the right choice for you. How Much Does Divorce Mediation Cost in Washington? • Whether or not you have children and need to discuss child custody and visitation. • How long you have been married. • How complex your finances are. • How well your communication skills are. • How willing you are to compromise and work together. • How many sessions you will require to work out the details of your divorce. Many people seeking a divorce through mediation have never before been through the process and do not know what to expect. This is especially true when it comes to mediation fees, payment, and compensation. Below, we’ve listed some common red flags regarding mediation and payment. If your mediator does anything discussed below, be sure to question your choice and consider working with someone else to settle your divorce. Your mediator doesn’t discuss the details of fees and payment before beginning your sessions. Your mediator does not put his or her payment policies in writing as part of your official mediation agreement. Your mediator asks for payment in exchange for a referral. Your mediator bases his or her payment on the outcome of your mediation or on your final settlement. Your mediator does not return partial payment if your mediation sessions are not successful or are not completed. Mediation can be an excellent choice for some couples seeking a divorce or a workable parenting plan for their children. However, a mediator who does not follow the standards of practice can harm the settlement process and even cost you money. As long as both parties are willing to work with a mediator, the cost of divorce mediation is almost always lower than the cost of going to court for your divorce. In addition to a lower cost, mediation also often gives families more privacy during the divorce process and allows couples to take legal decisions out of the hands of a judge. To learn more about your own Seattle divorce mediation, contact the Washington State family law attorneys at our Bellevue law office today. Whats The Difference Between Mediation And Arbitration? While mediation and arbitration have a number of similarities, there are a few key differences between the two processes. In both mediation and arbitration, a neutral third party objectively listens to both sides of the story, but in arbitration, the third party (the arbitrator) comes to a legal decision regarding the issue. In mediation, the third party (the mediator) simply helps the two parties work through their legal issue and come to a mutual decision about what is best. Mediation is a common choice for those going through a divorce, while arbitration is usually utilized in more complex legal disputes. Both mediation and arbitration can be welcome alternatives to taking a legal case to court.